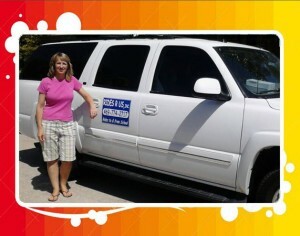 History – Rides are Us, Inc.
My name is Carole Floyd, owner of Rides R Us, Inc. I began doing business personally in Sept. 1997 by taking a few children home from school to help out some families I knew. I wasn’t set up formally as a business at that time, but seeing the great need for this type of service I decided in the summer of 1998 to pursue this as a business venture. My best friend came alongside to join me in the adventure, so we officially started our business, “Ride on Transportation” , in August of 1998. In the fall of 2003 my partner and I chose to conduct business individually; therefore, I began operating under the new name of “Rides R Us” and in 2004 I officially incorporated which now allows me to offer tax receipts upon request to you, my clients. I have also added additional drivers as my business has grown. We are currently serving Garland, Sachse, and Wylie schools. I have in the past and will continue now and in the future to strive for excellence.